Fight your traffic and speeding ticket with a Van Zandt ticket lawyer. If you are set to appear, or have already missed your appearance at the Van Zandt Justice of the Peace Court, be sure to contact us first to explore your options. It's never a good idea to enter a plea of guilty or just pay your Van Zandt traffic ticket without speaking to an attorney. When you just pay the court for your ticket, or enter a plea for a payment plan, the ticket goes on your record. This might negatively affect your driving record, car insurance, and might lead to license suspension. We successfully get 95% of our client's tickets dismissed. You absolutely want to keep your record clear in Texas, because an accumulation of "points" - which are tabulated for every ticket that goes on your record - can lead to license suspension, drivers license impairments, and can impact your insurance rates. Texas law changed recently to make the consequences of points to be much more destructive to your driving history and insurance premiums. It is vital that you do everything possible to avoid a ticket going on your record, and our Van Zandt ticket lawyers will help. Our goal is to keep your driving record clear, get your warrants lifted if necessary, prevent the suspension of your license, or even get the OMNI holds on your Texas license lifted so that you may renew your license. And More - Contact us with your case details. We handle your court appearances so you won't need to go, or worry that your Van Zandt ticket is being handled properly. We negotiate your ticket with the prosecutor on your behalf to get the best outcome possible. Simple! If you have a commercial drivers license in Texas, you know how vital it is to keep points off of your license. Points can directly sabotage your employment, and threaten your livelihood. We understand how important it is to keep points off of your record, and do everything possible to seek an outcome which dismisses or minimizes points. As a CDL holder in Texas, you know that Van Zandt courts at the JP level can't offer deferred or defensive driving like they can for regular license holders. Instead, we seek to avoid points by getting you on a pretrial diversion program, changing the violation to a non-moving violation, or even lowering the speed so that no points get on your record. No attorney can guarantee any outcome, but we will work tirelessly to safeguard your profession. Lost the ticket? No problem. Let us know the details and your attorney will review your ticket. Your attorney handles your ticket from start to finish, and keeps you updated along the way. The average case takes 1-2 months. If you've been speeding (10% over or under) through Van Zandt County an attorney will negotiate your ticket amount and work to keep it off of your record. Whether your insurance was expired (or not existent) or you just didn't have your proof of insurance at the time, our Texas attorneys will handle it. Van Zandt Justice of the Peace Court will add on a Failure to Appear charge if you miss your court date, which can add another $300-$500 to your case. Oftentimes the prosecutor will agree to dismiss the FTA. 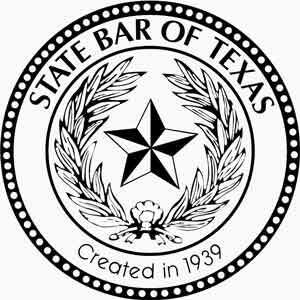 Our first priority on any case is to get your Texas warrant lifted. This is very important during the Texas Warrant Roundup. A DWLI (Driving While License Invalid) ticket is not just expensive, but it has more severe consequences than other types of tickets. If your registration or inspection was expired or non-existent and you received a ticket, our attorneys will negotiate with your court on your behalf.